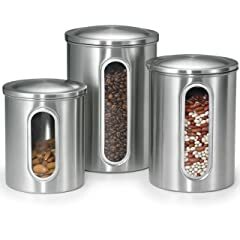 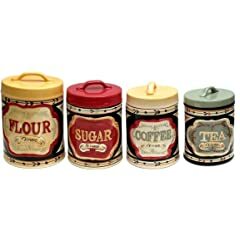 Lovely canisters to store your sugar and flour in. 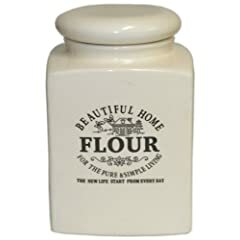 Good storage canisters will ensure your flour and sugar is always fresh and in tip top condition ready for when you start cooking or baking. 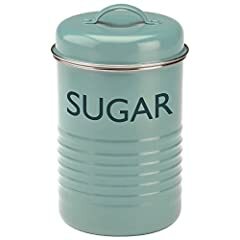 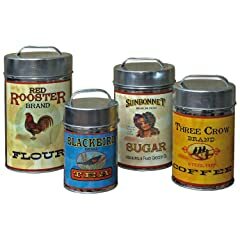 Sugar and flour canisters come in a wide range of colors and styles. 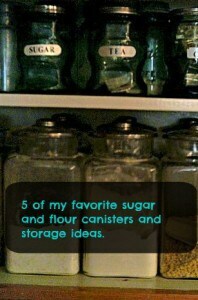 My favorite is the storage jar in glass, this would look lovely in my kitchen!